Do you feel like you aren’t getting enough attention on social media even though you’re posting and spending a lot of time on your content? I hear you! 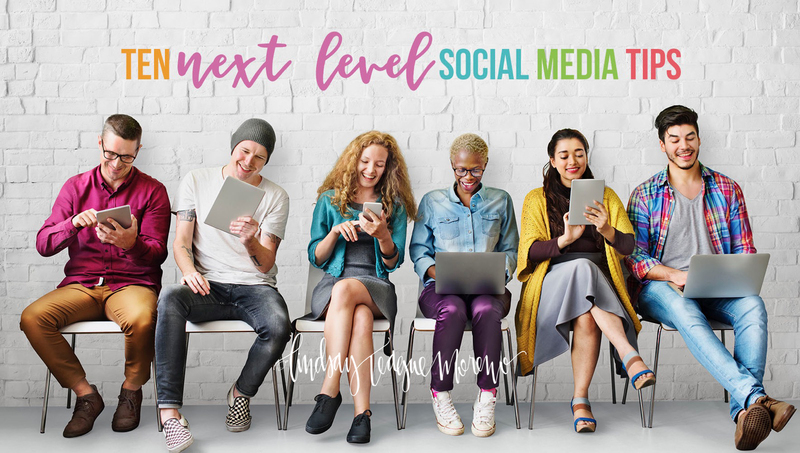 What if I told you with a few intentional tweaks you could level up your social media game? Increase followers, get more likes, have actual comments to respond to. Share other people’s photos with your words, but make sure you give them credit. Post at different times and track results to find out when you get the most interaction. Use a photo-editing app like A Color Story or PicTapGo to edit every photo you post. Utilize all 30 of your allowed hashtags on Instagram. Share across multiple social media platforms, but tailor the posts to each with a few changes. Make it clear what you want your followers to do next by providing instructions and links. Make your content concise and quick to read. Don’t use 30 words where 3 are needed. Give people the content they want. Schedule ahead to avoid dry spells. And maybe most important! Always be vulnerable and real even though you will for sure catch some hell. If you’d like a free, printable PDF of these 10 tips, click the link below! No strings attached. Download it. Read it. Print it. Do the steps. Watch your social media grow. BOOM. If you enjoyed these tips and want to learn more about business and social media you should check out my brand new podcast, Boss Up!